Audi revealed its new A6 a few weeks back, ahead of when we thought it would be revealed, which was a nice surprise. 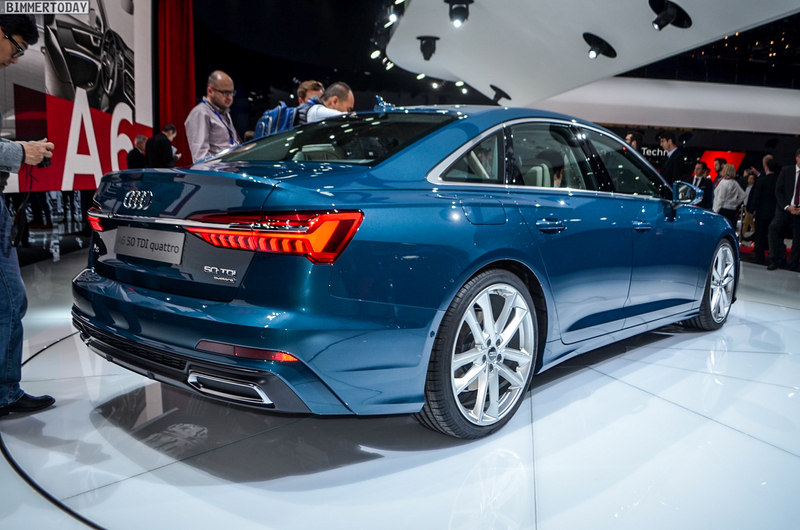 Then again, it showed off the new A6 at the Geneva Motor Show, where we were able to see it in person. 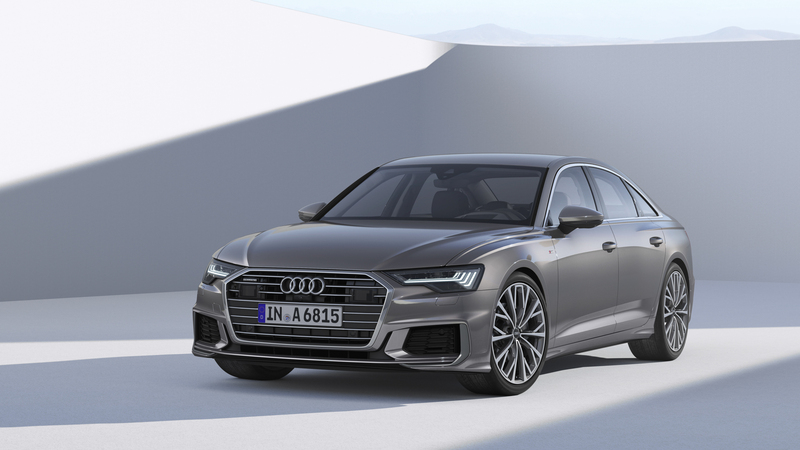 Now, though, we’re going to have the chance to see the Audi A6 in person on American soil at the 2018 New York International Auto Show (NYIAS). 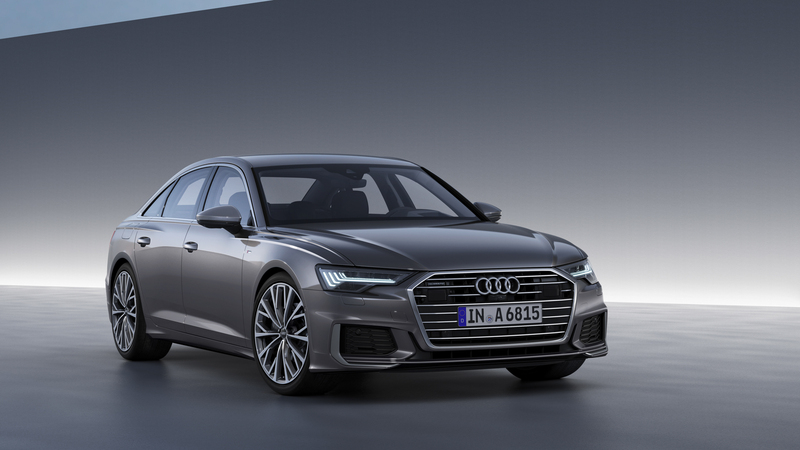 The new Audi A6 is one of the most important cars for the four-ringed brand, as it makes up much of its premium car sales. While the A4 is the brand’s bread and butter, the A6 is Audi’s best-selling executive sedan, especially in America. So it’s hugely important that Audi gets this right, especially considering how old and noncompetitive the previous-gen A6 was getting. Now, we’ll be able to see how it stacks up and we’re very excited about that. 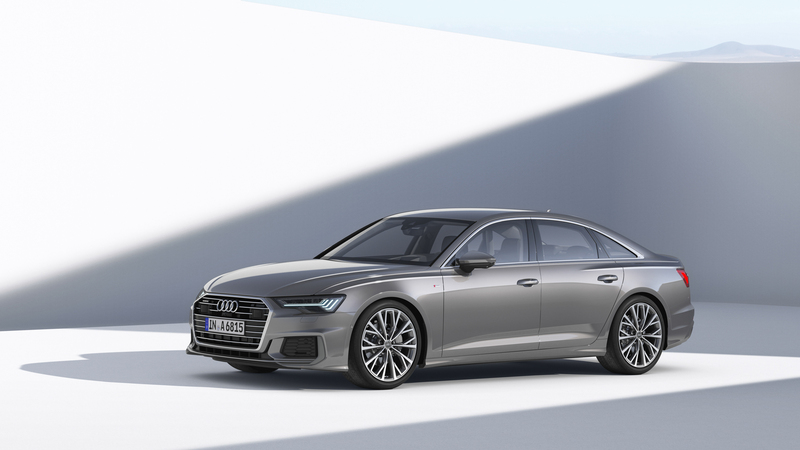 Built on Audi’s new MLB-Evo II platform, the same one that underpins the Audi Q7, A8 and A4, the Audi A6 is lighter than the car it replaces, while also being more luxurious, more high-tech and more dynamic. So far, we’ve been very impressed with the way Audi’s new MLB-based cars have handled, being massive steps up over previous generations. And with the previous-gen A6 being a bit underwhelming on the road, we’re excited to sample the new A6 when we finally can. It also looks quite a bit better than the old car. While its looks are pretty typical Audi at this point, being very similar to the A8 and new A7, it looks good and has enough unique touches to make it special. For instance, its swollen rear wheel arches give it a boxier, more aggressive look than the A8 and also remind us of those on the original Audi Quattro. 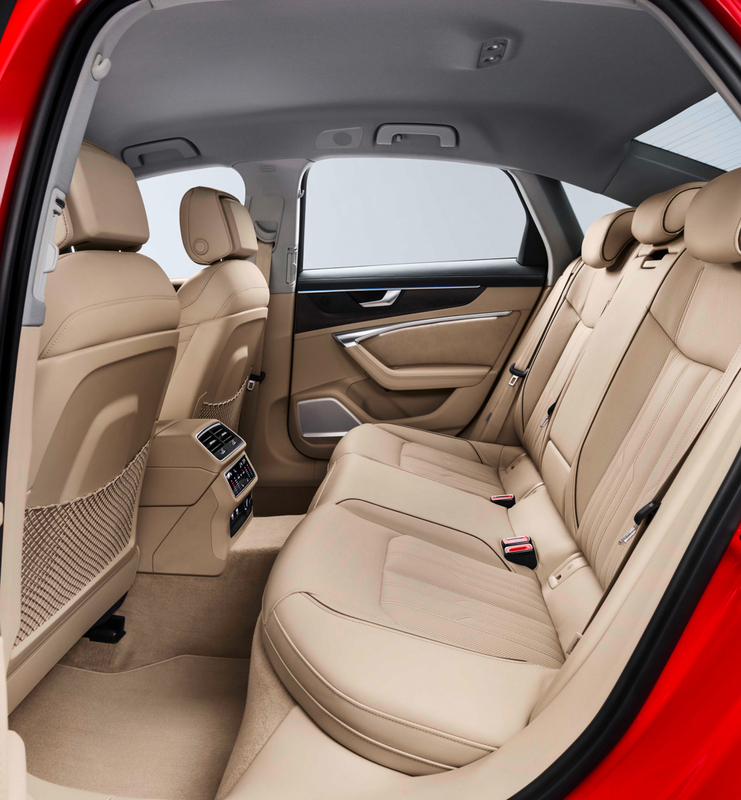 Inside, the new Audi A6 is a very special car, with an uber-luxurious cabin that’s class-leading in terms of technology. 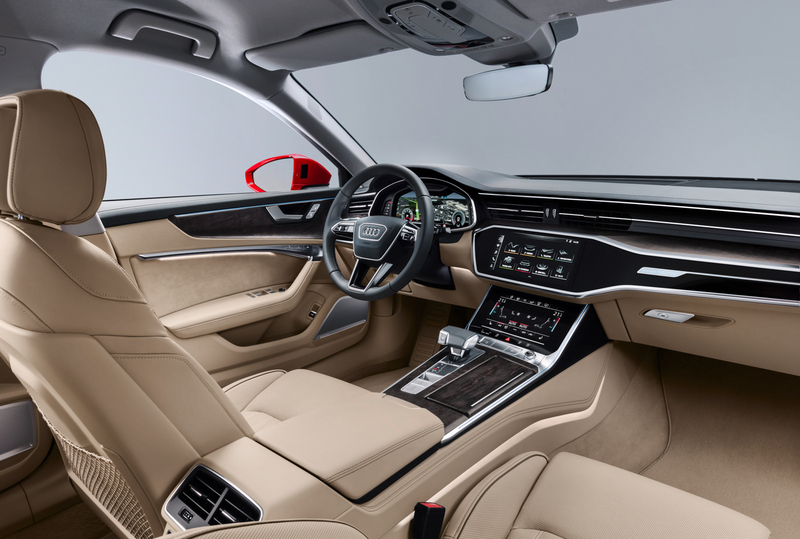 It also features Audi’s new dual-touchscreen MMI setup, similar to the A8 and A7. So it’s part of a new interior direction for Audi and one that we like quite a bit. 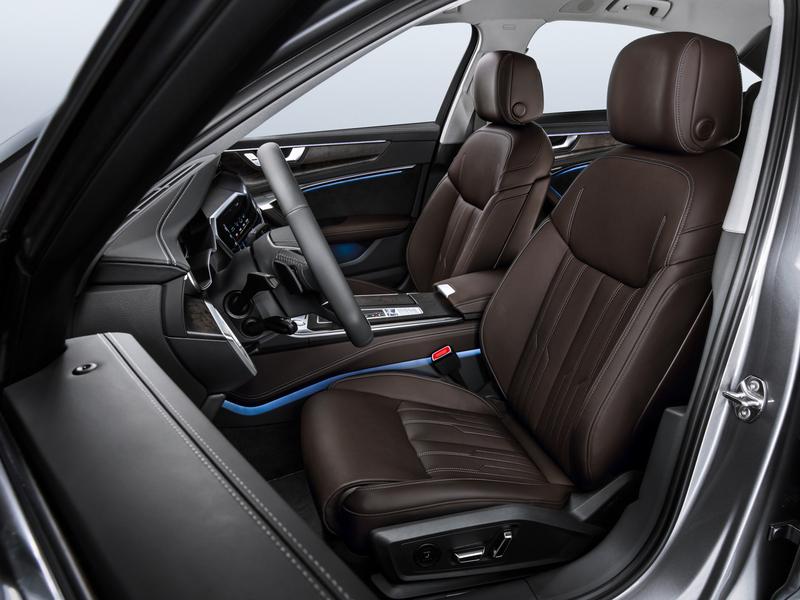 We’re going to be playing around with the new A6’s cabin at the auto show and show you how it works. So stay tuned and we’ll have much more for you from New York next week.